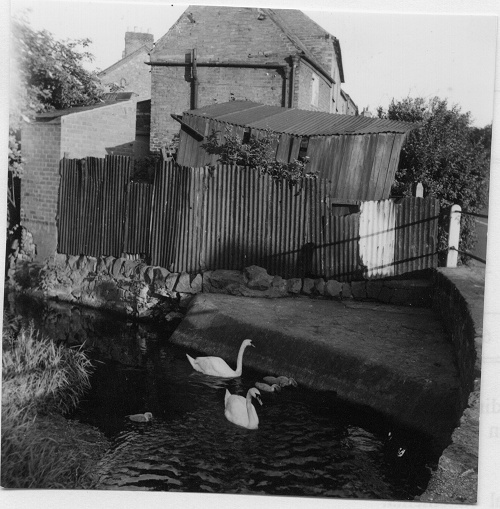 This is one of the cottages on School Lane just after the bridge on the left as you travel towards the Leicester Road junction. The stream has long since dried up, probably as a result of various flood prevention measures. Missing information: Can you help us date this photograph?